As is the case in many cities, there are always one or two popular markets where people go to get fresh fruit, vegetables, baked goods, high quality meats, and specialty foods. 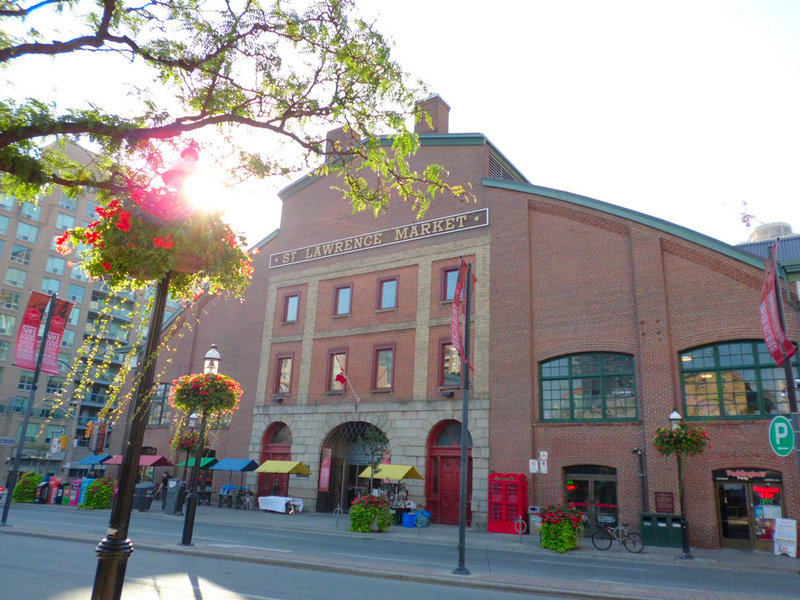 Toronto is no different, and for many years the go-to location has been the St. Lawrence Market. The market, run by the City of Toronto, is located on 93 Front Street East, and is currently comprised of three main buildings: The South Market, the North Market, and St. Lawrence Hall. It’s a combination of vendors where you can buy anything from fresh meat and pastries to seafood, olives and cheese. You can also get breakfast and lunch, as well as coffee and juice. My understanding is that the lake used to come right up to the back of the market and vendors were able to bring their fish right up from the water, but the shoreline has since receded. The market always exhibits a fun, bustling atmosphere. The vendors are always kind, and it’s great to support small, community businesses. There’s also a number of places where you can buy meals….for example, Carousel Bakery at the market is known for their superb peameal bacon sandwiches. Buster’s Sea Cove has amazing fish and chips and Uno Mustachio is known for their large veal sandwiches. What people often go down on a Friday or Saturday morning and get their groceries for the week. Since the market is closed on Sundays and Mondays, a couple of hours before closing on Saturday afternoon some of the vendors will put their products on sale or mark down the prices. Regardless, you can always kick it old school and try negotiating a deal. Whether it’s to stroll around, grab a bite, or do your grocery shopping, I highly recommend visiting St. Lawrence Market.